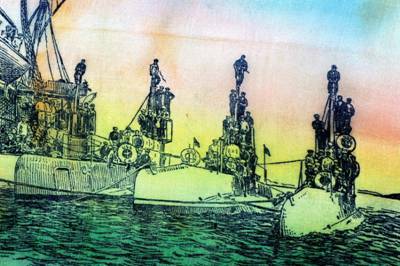 This month we pay tribute to those who serve in the armed forces. 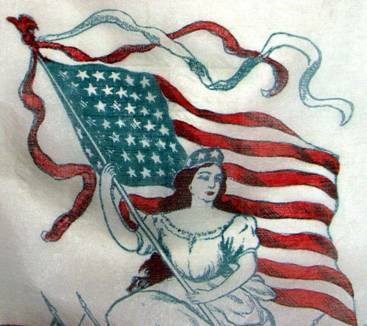 Originally called Armistice Day to commemorate the end of WWI, the holiday was renamed Veteran’s Day in 1954 to honor veterans of all U. S. wars. 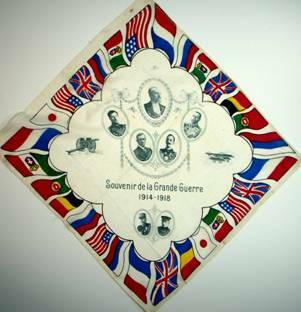 The ubiquitous handkerchief also played a role in wartime. Not so surprising, when you think about it. Soldiers constantly on the move were limited to what they could carry. 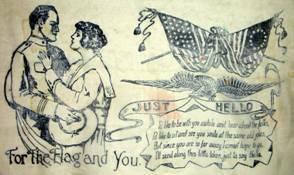 A letter from home might never arrive, thus a sweetheart’s handkerchief was one keepsake a soldier treasured, often tucking it over his heart. 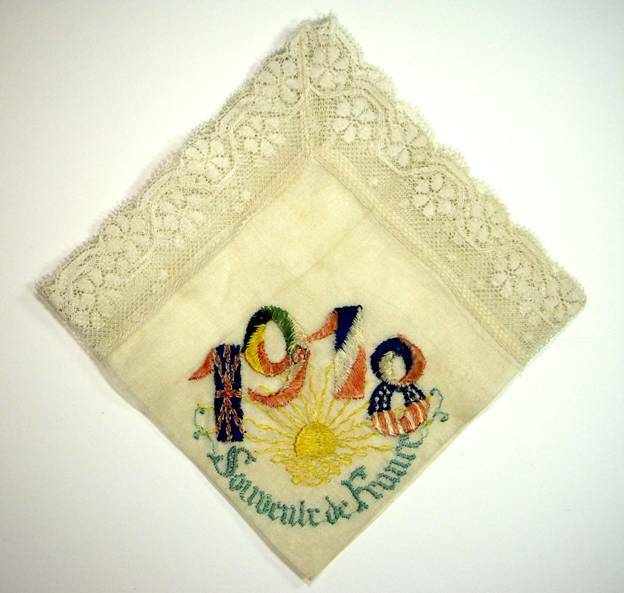 In exchange, soldiers sent remembrance handkerchiefs home. 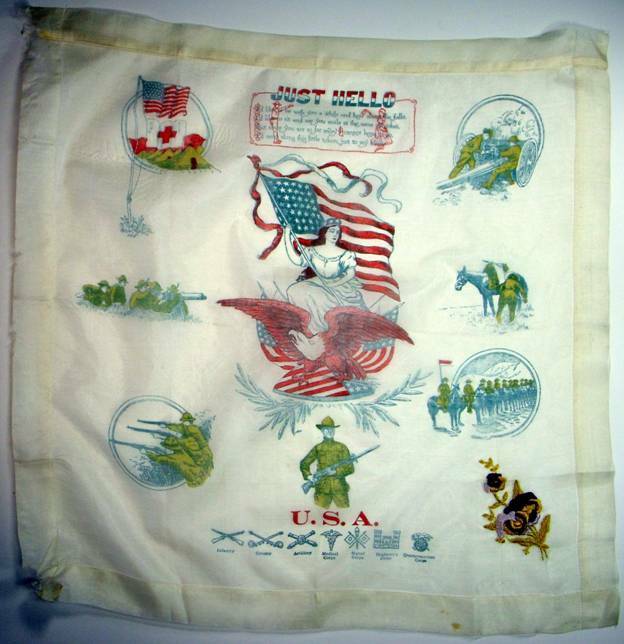 A universal symbol of both welcome and farewell, handkerchiefs were frequently included in wartime images. 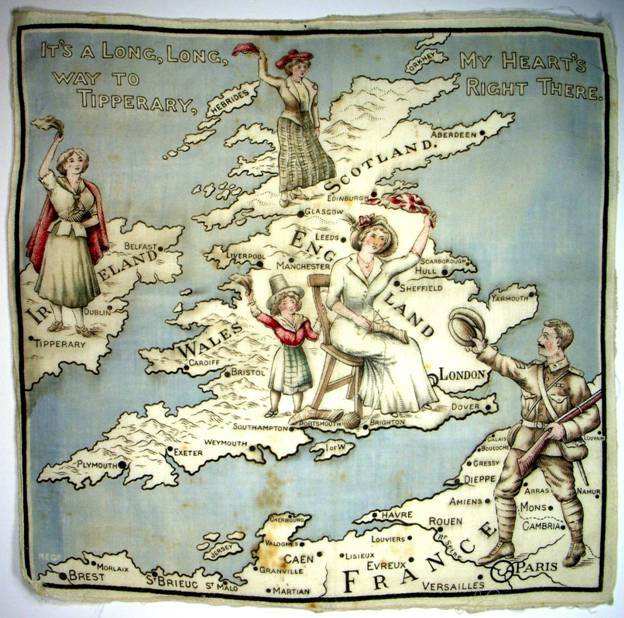 In this Long Way to Tipperary hankie, women and/or children from Ireland, Scotland, England and Wales wave good luck and Godspeed to a brave solider fighting across the channel. 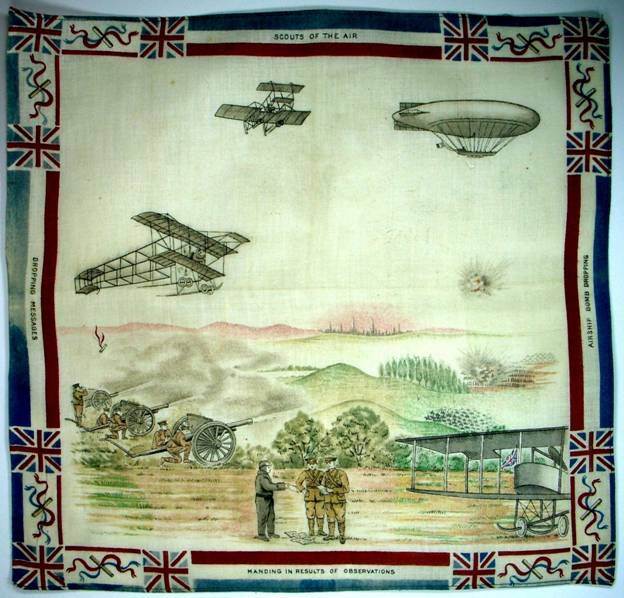 Ground troops receive reinforcement from the air in this amazing WWI handkerchief. 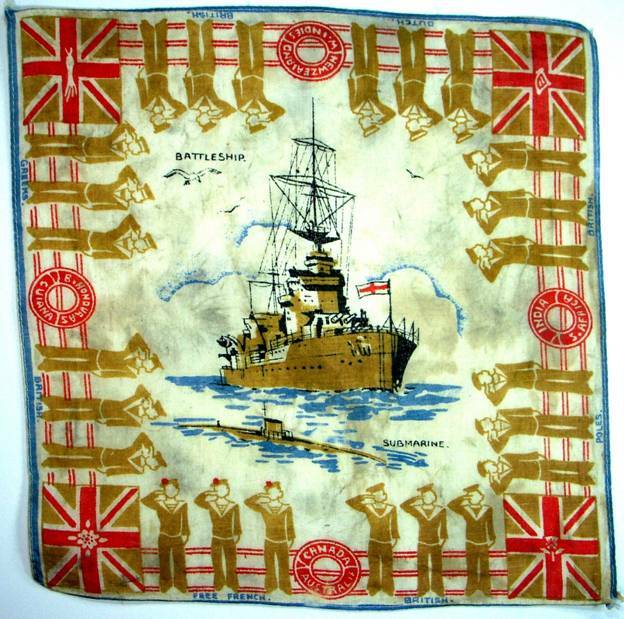 A submarine flotilla is depicted on this gossamer thin handkerchief. 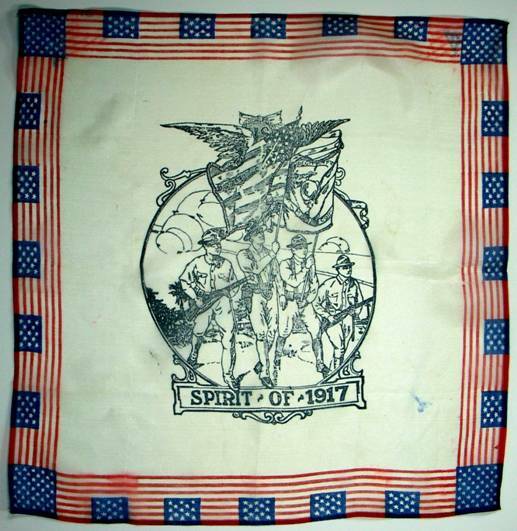 Souvenir hankies were often stamped with an image, then later hand colored. 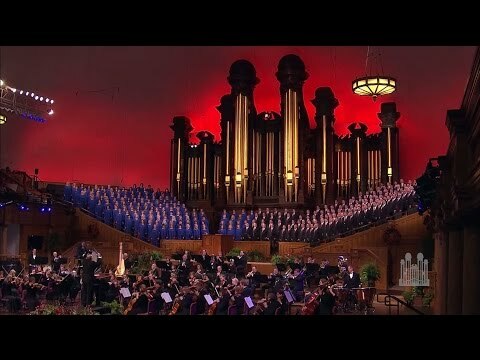 Brave soldiers forge onward for God, flag, and country. Often the same image was tweaked to feature a specific branch of the service. 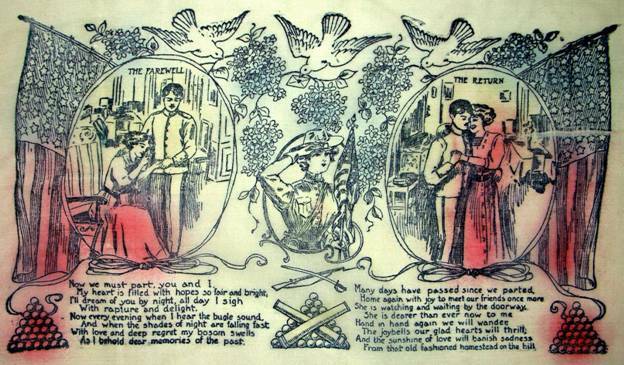 Note the lady in the center is dressed for either the army or the navy, depending on the sender of the hankie. In addition, the poem was changed. 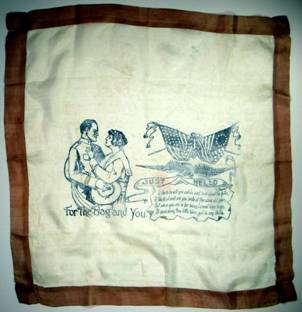 Happily both hankies feature not only The Farewell, but The Return. 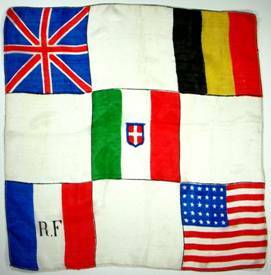 Flags of many nations was also a prevalent theme. 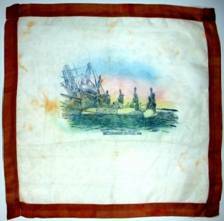 Ladies protected their hankies in silk pouches designed expressly for this purpose. 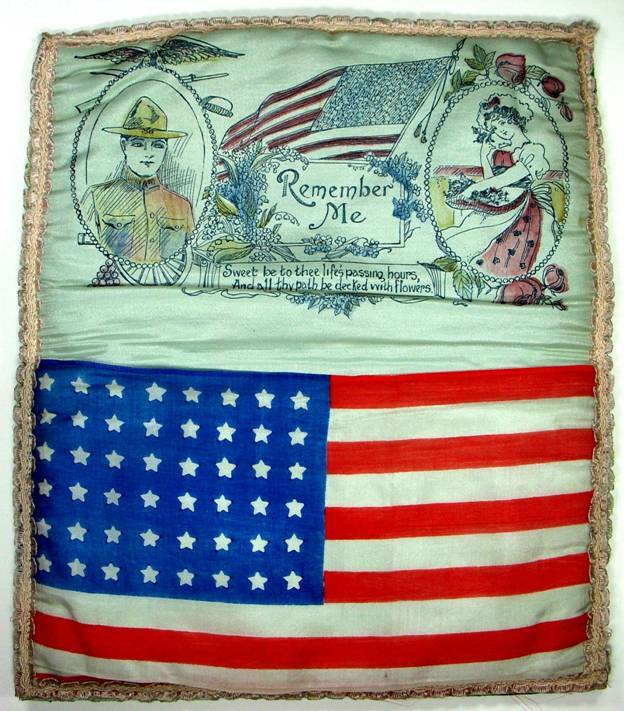 The interior often had an image of the flag and/or a sentimental reminder of the loved one. An extra special remembrance for an extra special sweetheart. 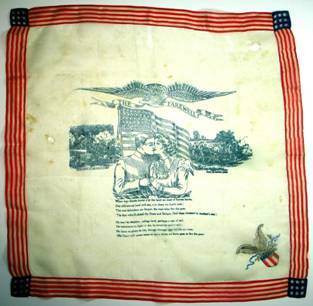 It delineates all the branches of the service, features lady liberty, and is embellished with a hand embroidered flower. 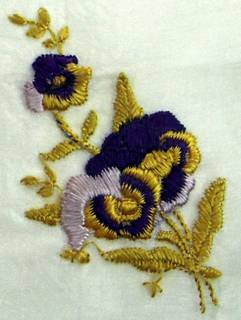 Perhaps the pansy was his lady-love’s favorite flower? 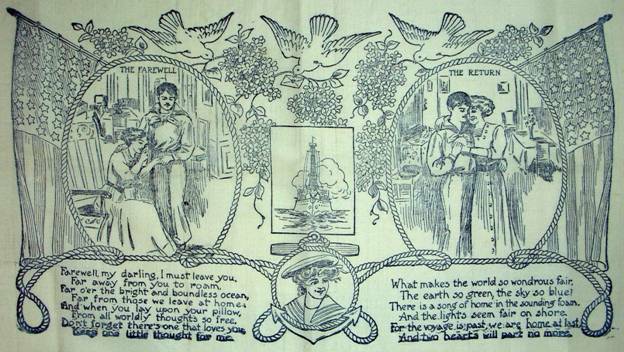 Note the girl at the top waves farewell with her hankie. 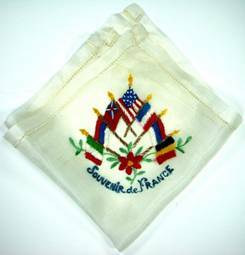 Ornate embroidery is often found on silk souvenir handkerchiefs. 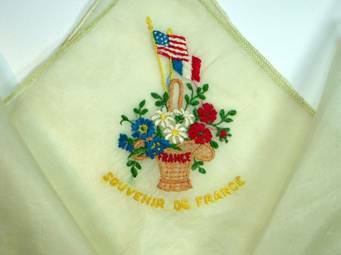 Although both hankies read “Souvenir de France,” note the American flag holds a prominent position in both samples. I have been told this is one sign that these remembrances were specifically crafted for the American market. 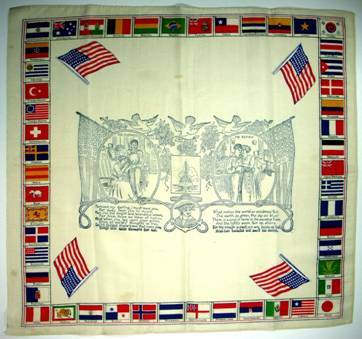 A particularly lovely example showcases flags of different nations contained within the date. 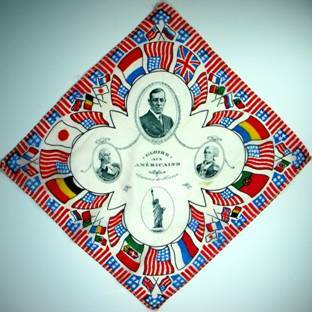 Two versions of a “Flags of All Nations” handkerchief – one with Raymond Poincaré, President of the French Republic in the dominant position, the other with American President Woodrow Wilson more prominently featured, along with George Washington and the Statue of Liberty. Note the American flag border. 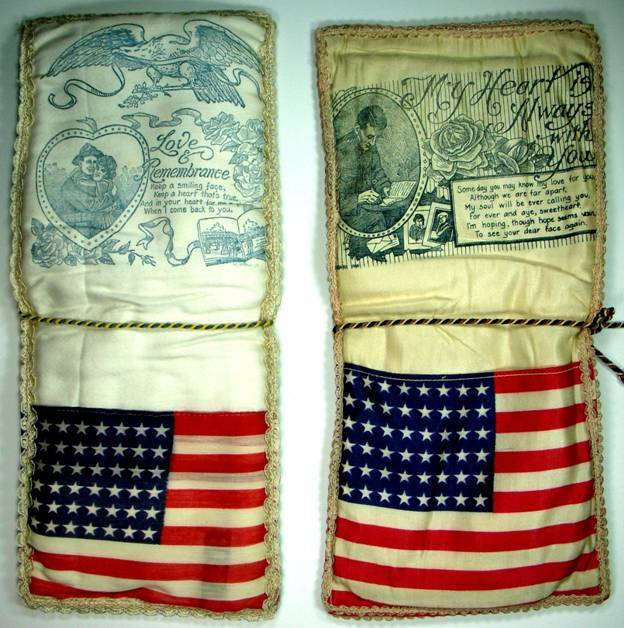 This souvenir on the right was indeed crafted for the American audience. It is never my intention to glorify the horrors of war. 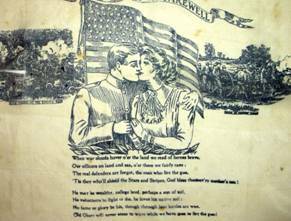 As a handkerchief collector, however, I would be remiss to exclude the poignant and heartfelt images contained in these remembrances brought back by soldiers who fought so far from home and have been saved by their descendants for almost 100 years.